NEW from ICAR, the large loop blade knife made from Italian Tool Steel. 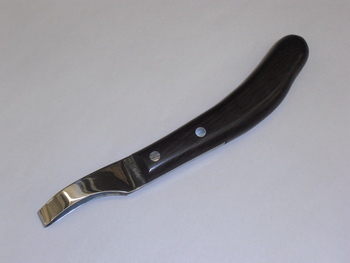 The knife measures 8 1/2'' long with a 1 7/8'' long cutting edge. Very nice knife with a super sharp cutting edge!